Should be fun, I really like this league. 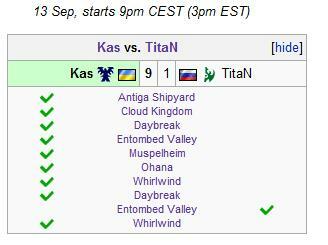 Good mix of teams, good games, good casters, thumbs up! 3-1 RoX with Mana winning. mouz's line up looks so weak these days. this should go to an ace match.. 3-2 mouz! Titan and fraer are favorites to win their matches and Mana unfortunately got a Zerg opponent. The ZvZ is pretty much 50:50 imo. Why are there so few terrans around for those team matches? Because Empire only plays tomorrow. Hopefully Azael can get a co-caster for today, too, even though incontrol won't make it. I don't really like his solo-casts that much, he doesn't seem to ever pause in his talking which makes it kind of tedious after a while. 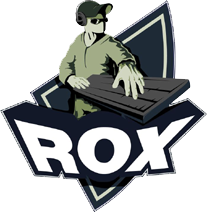 Most likely 3-1 RoxKis. If it goes to Ace, mouz has a shot. And then Mana or Hasu wins the ace. Kinda hope I'm wrong though as I have a soft spot for them eastern guys. Heromarine ain't no Kas, I guess. I thought this would have destroyed his confidence enough to lose some from now on.